Rongo MP Dalmas Otieno has come under scathing criticisms from residents of Homa Bay county for allegedly trying to sabotage a sugar mill in the region. The residents have ganged up against the MP’s alleged maneuvers and his canvassing against the ministry of Agriculture and the Kenya Sugar Board’s recent approval of a licence for the establishment of the new sugar mill in Rangwe. Residents of both Homa-Bay, Migori, and Kisii counties which stand to benefit from the planned sugar mill have vowed to petition President Uhuru Kenyatta to plead with him to intervene and ensure that investors for the project are issued with the licence as soon as possible. The new sugar mill output when fully operational is expected to do 3,000 metric tonnes of sugar per day. Its construction cost is estimated to be around Sh4.6 billion. The new factory will offer job opportunities for close to 2,500 workers on direct employment while farmers will benefit from their sugar cane products as out-growers in the region covering Homa-Bay, Kisii and Migori counties. The criticisms of Otieno come as the result of the recent visit by the cabinet secretary for Agriculture, Felix Koskei. The CS toured the region on July 6accompanied by the CEO of the Kenya Sugar Board Rosemary Mkok, Rangwe MP George Oner, two representatives of Homa-Bay and Migori county governments and cane farmers from Rongo, Rangwe and Southern Kisii regions. The CS led the group on a visit to the site of the proposed new sugar mill at Aoch Muga in South Gem location. Also present at the public baraza were representatives of the investors and local entrepreneurs from Kisumu. Koskei disclosed at the meeting that application for the new mill would be approved. The CS said this after listening to residents’ plight especially potential outgrowers. 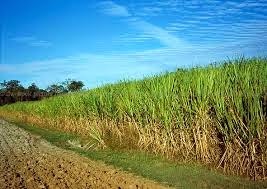 Koskei advised the residents of the affected areas to shun politics and redouble their efforts in growing more sugar cane. The CS promised that he would write a letter of approval to the relevant authorities. However, following the publication of news of the planned new sugar mill in the local media, the Dalmas is alleged to have started an aggressive canvassing with the mighty in government offices and allegedly trying hard to sabotage the project under the pretext that he should be the one who should be given a licence for establishing the new sugar mill in the area. This, it is said, is one song that the Rongo MP has been orchestrating for the last 15 years yet he has never come forward with a tangible written application for a licence. A source at the Nairobi offices of Kenya Sugar Board confided to this writer that their office has not received any application from the MP or received from any company associated with him. According to the ODM branch chairman in Migori county Phillip Makabong’o, the proposed Homa-Bay sugar mill has received the blessing of both Homa-Bay governor Cyprian Awiti and the Migori governor Okot Obado. And when operational, the mill will receive and crush 90pc of its row sugar cane from within Homa-Bay county with a percentage from Migori and Southern Kisii farmers. How can he try to stop this noble and important project which is aimed at empowering the community economically? 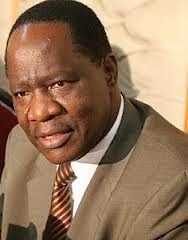 Makabong’o claimed that Otieno is no longer ODM and the process to have him kicked out of parliament is under way.